Good Rodent control begins with good inspections. There are ten signs of rodents the professional can look smell or listen for during a rodent control inspection. Droppings : What is their shape and size? This will determine the species. How many fresh droppings are there? This will indicate the size of infestation. 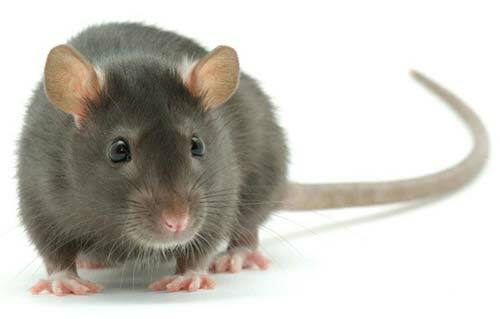 Rats produce an average of 40 droppings per day and mice about 80. Tracks : Mouse foot prints are small. Those of rats are larger. Gnawing damage : They cam gnaw through wood, cardboard, plastic, aluminum, lead and soft motor. You can often distinguish between mouse and rat gnawing by the width of tooth marks. Burrows : It can be found next walls, along foundations, and beneath debris or shrubbery. Active burrows are usually clear of vegetation, and the burrows entrance appears compacted and smooth. Runways : Runways are easier to detect. Out doors ,fresh runways are smooth ,well packed and free of vegetation. Indoors, runways along floors or rafters usually shown an absence of dust or dirt. Grease Marks : From oil and dirt of mice often appear along walls areas next to runways. It can occur on stairways, or around burrows openings in walls, floors or ceilings. Urine Stains : Left by rodent may occur on their runways and in area that they are frequent. Anticoagulants : These rodenticides cause death by disrupting the normal blood-clotting mechanisms, causing rodents to die of internal bleeding. Rodents die slowly over a couple of days, without any pain. Nonanticoagulants : Some of these rodenticides act as single dose poisons, while other take may need to be consumed over several days. Included in this group are the rodenticides bromethalin, cholecalciferol, and zinc phosphide.